How Much Money Do I Need To Go to Dubai? How Much Does Visa Cost? How Much Does Accommodation Cost in Dubai? Cost of Transportation in Dubai? How Much Does Food Cost in Dubai? Things You Should Know Before Visit Dubai? A few days ago I was chatting with a travel blogger based in the USA and during our conversation, he asked me How Much Money Do I Need To Go to Dubai?. I could reply him in a just few lines, but I thought that way my answer would be incomplete. From a technical point of view, no one can answer this question as your trip cost depends on various things like time of visit, your location, airlines tickets cost, hotel stay and your activities in Dubai. So I’ve decided to write a complete guide to answer this question. So today in this guide I’m going to share some of the things that would play an important role in your Dubai trip cost. Special Offer: If you’re a travel blogger and interested in getting sponsor desert safari Dubai tour then comment below with your name, email and, blog URL. Although this is not required if you belong to any Europen, Tier 1 English or GCC countries. However, tourists who belong to un-developed countries (India, Pakistan, Thailand, Philipines, African countries etc) must get a UAE pre-approval visa. Depending on your trip length and travel agency, visa cost could be AED 300 (14 days) to AED 1400 ( 90 days). Undoubtedly, this is the first thing that would require yours a lot of research. Check tickets with your favorites airlines and see how much does it cost to fly to Dubai with them. Typically, Dubai ticket is cheap from April to until August because of somewhat hot temperature noticeably fewer visitors visit Dubai during these months. On the other hand, tickets could be very expensive for December, January, and February because of the new year and Dubai shopping festival. Although hotels are a bit of expensive in Dubai, still, some hotels have good deals. Sharing accommodation is also very popular in Dubai. You could stay in a sharing room at AED 75/night. You can book a bed space in sharing room by going here. However, if you want to stay at hotels only, check out below hotels which are Cheap Hotels in Dubai with Breakfast. This is a time-consuming activity because Dubai is a kind of city which has countless things to see. If it’s your a holiday trip, you would not have a lot of time. 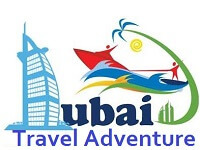 So make sure you do your homework and book every tour in advance from a reputable Dubai local tour operator. Some of the tours and places where you must go are following with expected prices. Note: Every tour operator has different price and quality of service. I always use Discover Desert Safari Tourism and mentioned prices I got from them. Prices do not valid for special events (New year etc ). For updated prices list check operator websit by visiting here. Burj Khalifa (Official ticket Cost is AED 125 ($35) in non-prime hours. 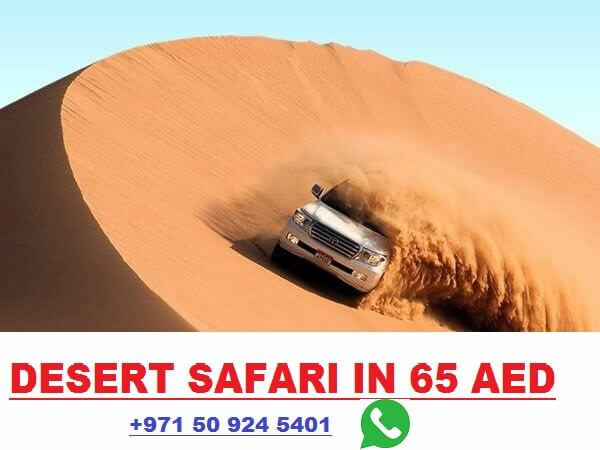 Get AED 10/person discount from Discover Desert Safari tourism. Evening Desert Safari Dubai (AED 125 & $35 ) Read my trip experience here. Tip: You should get quotes from other operators and compare prices and services. Don’t go for price only. Must read their reviews before booking. Transport in Dubai is defiantly cheap. Taxi charges starting from AED 4/KM (minimum fare is AED 12 ). Car cost for Six hours starting at AED 450 with a driver. However, the best & cheapest way is Dubai metro. Dubai metro stations are available everywhere in the city. You are not allowed to use credit cards or cash in Dubai metro. You need to get an NOL card which you can easily get from Dubai airport by providing your passport. Pro tip: Get a daily pass in AED 25 which allows you to use Dubai metro and RTA buses for unlimited times till 12:00 of midnight. Dubai is a multi-national and multi-culture city. You would be surprised only 15% of total population is local. Remaining 85% include Pakistani, Indians, Filipino, African and other nationalities. Since it is a multi-culture tourism destination so you will get a bunch of food options here. Breakfast cost starting from AED 15 at a famous Pakistan restaurant ( Ravi Restaurant). You can get a cup of tea and soft drinks in AED 1. Depending on your taste, launch cost could be AED 30 to 250 at a restaurant. Generally, Pakistani, Indians and Lebanese food are cheap here (Must try Pakistani Chicken Biryani at Ravi Restaurant). Restaurants in hotels are expensive so better you ignore them. Offical language is Arabic, but almost everyone can speak English in Dubai. Offical currency is AED (Known as Dihram) and as of the time of writing this guide $1 equal to 3.67 AED. Dubai airport has three different terminals ( terminal 1, terminal 1 and terminal 3). Kissing in public is strictly not allowed. Don’t visit Dubai during the holy month of Ramadan if you are non-muslim. I have found a discussion about on TripAdvisor on this topic and for more ideas, you can read it by going here. How to Book Dubai Helicopter Tour with Discounted Price? IMG Worlds of Adventure Ride Reviews -Is Ticket Worth of the Money? error: Sorry DUDE! I\'ll not allow anyone to steal my content.